As a child, Mubarik Mohamoud’s life dream was to own 100 camels. 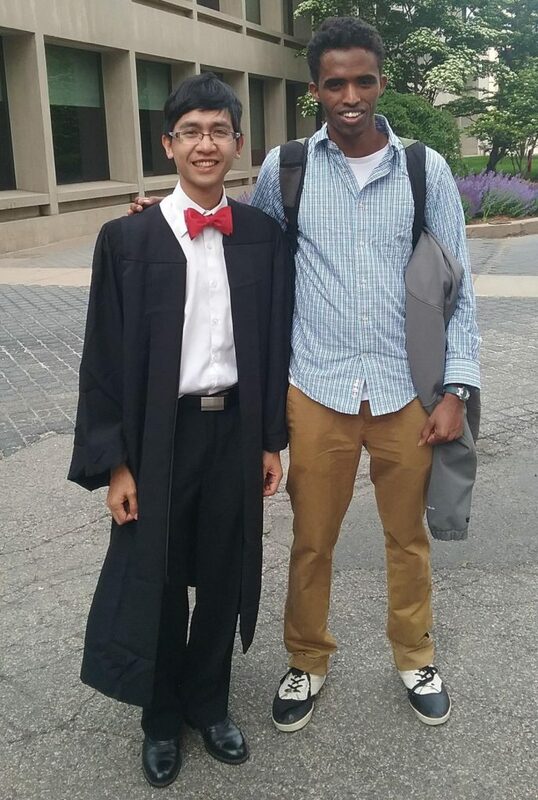 He is now graduating from MIT with a diploma in Computer Science and Electrical Engineering. 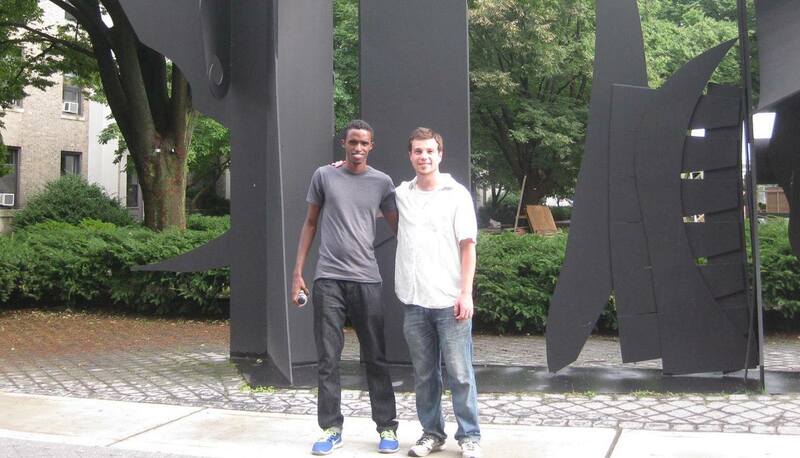 A student from Somaliland in East Africa, he is returning to MIT in the fall to complete a Master’s before returning to his home country. 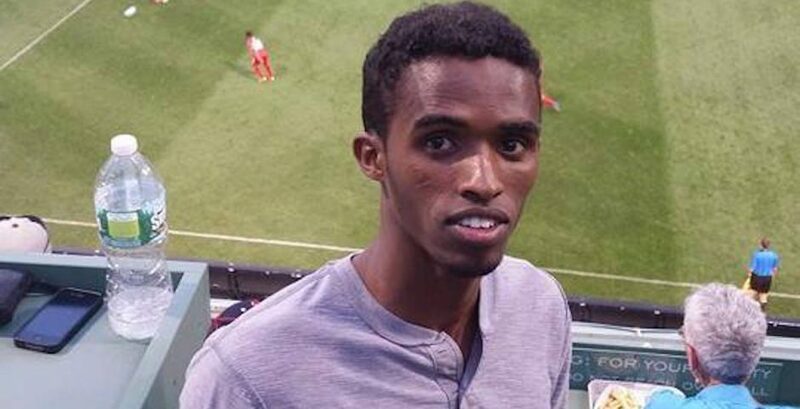 As a winner of scholarship founded by an ex-hedge-fund analyst that prepares kids in Somaliland to study in the US, Mubarik shared his moving story with us. Tell me about your childhood – how old were you when you first went to school? I was born in Ethiopia in region called Ogaden which is close to Somalia. Growing up I was a nomad. My parents had goats, camels and also sheep, so my life-calling was herding. I started out herding baby goats and had a camel at the end. My personal goal as a kid was basically to have 100 camels. That was the culmination of success in my life. There were some conflicts in Somaliland so there were some refugee camps set up in Ethiopia around where I lived. When I visited the camp I saw this school and different life that I could pursue. After that point I was not convinced that I wanted to continue my life as it had been, so I told my parents I wanted to go to school. 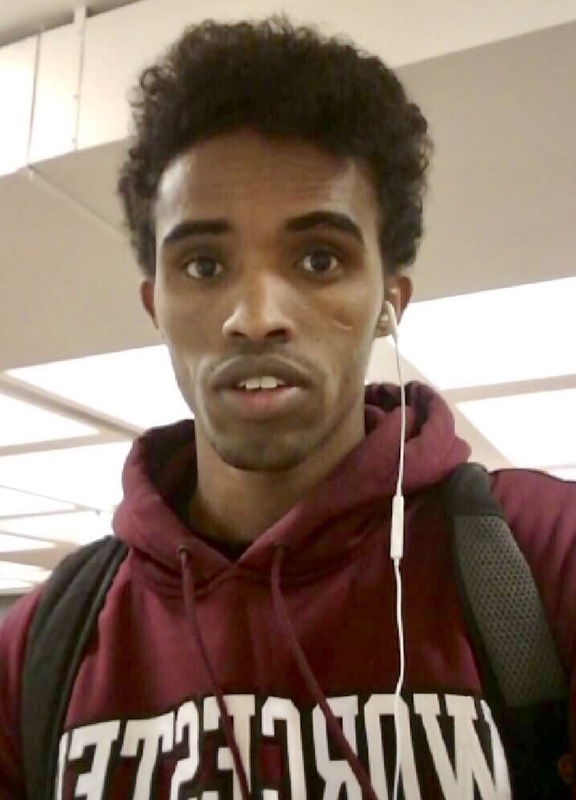 For them there was no place for me to go, if I went to Somalia there was no-one for me to stay with and if I went to Ethiopia I didn’t know anybody. They said they didn’t see a path. In the end, I ended up with a Sufi religious group. I stayed with them for a couple of months and they were sufficiently close to the camp that I was able to go to Somaliland. We used to memorize the Quran and some Hadith, which are basically the sayings of the Prophet Muhammad. I cannot exactly say how old I was because age is not a thing in nomadic life, the way it’s counted is different. I was probably anywhere between nine and 11 when I went to that school. How did you get to Somaliland and to Abaarso? How long had it been since the school had been founded? The Sufi group lived close to the refugee camp and there was a significant influx of people going from that town to Hargeisa which is the main city in Somaliland. I understood how the system worked when I was with the Sufi group, it wasn’t that difficult for me to hop on a truck and after a 12 hour drive, I was in Hargeisa. The Sufi group had very little interaction with the people around them. Once in Hargeisa, I didn’t know anybody there but I found some people who where mildly related to me to guide me. In the beginning, I was able to stay with someone to start school but afterwards things got a little trickier but I stayed with relatives and friends. I did four years of school in Hargeisa before going to Abaarso in the ninth grade, the school had just been founded when I went and it wasn’t very well known. How was life at your school? When did you get to see your family? Do you stay in touch with your school teachers? I cannot speak for everyone but in my case, I did not have a home in Hargeisa so Abaarso was very much a home for me. Even during the breaks and summer I was there. My life was a lot better but maybe for some other students it was not. At Abaarso I was one of the first students at the school. Almost all of the students were my best friends. Abaarso is in the middle of nowhere and we were 50-something people, so we got to know each other a lot. I didn’t have a family in Hargeisa and there was no way I could communicate with my family, they don’t have phones, internet or anything. Abaarso became my family. During breaks, I used to sometimes take a truck back to try to find my family and I usually did and I’d stay with them for a bit and then come back. My parents usually move around in a region that is not that large so if you get to the main village, someone will tell you where they were last time. From the main village it’s probably going to be a day of walking and the next person you see will tell you probably where they are. In Hargeisa, I went to an Arabic school where they didn’t teach English at all, but then I switched to public school and they had English class but since I was so far behind that I couldn’t do it. At Abaarso I just had to learn English. I stay in contact with all of my teachers, we are that close! My main contact I’d say is Jonathan (the school’s founder). At Abaarso we understood that that there was something better that we would get to, we understood there was a possibility. How did you prepare for college? We actually took our SATs in Ethiopia, in Addis Ababa. We had to take a bus there which was like a two-day ride. Abaarso was able to find a bunch of books to prepare us for the tests. For people in Somaliland it is so difficult to register for exams like the SATs because people don’t actually use credit or debit cards, they don’t have bank accounts because they usually use cash. Abaarso took care of all of that and it made a huge difference by making these things possible. Why did you choose MIT? After a year and a half at Abaarso, we got an offer from a school in Worcester that Jonathan Starr went to. They offered to take one Abaarso student for a year so I went to Worcester Academy for a year and so there I was able to visit some colleges. After that year, I went back to Abaarso. MIT had giant buildings, labs everywhere and people were doing a lot of hard things and when I saw those things on the tour, I decided that this looked like what I wanted to do. What most surprised you when you came to the United States? Has anything changed in the way you behave since then or in your faith? One thing that shocked me was how people actually conducted themselves. I came straight to MIT and that was my first interaction coming back to the US for college. All these young people seemed to be so mature, it was like nothing I had seen before. To so many levels they can have a conversation that you have never heard from someone close to their age and I thought that was really surprising to me. People take hard lines on things in Somalia: you cannot question religion, you cannot question your clan, etc. At the beginning of my stay, one of my hall mates told me she was going through a process to change her gender and I was like “how is that even possible?”. We used to meet a couple of times for me to understand where she was coming from and how this was a thing. Even though I still had my doubts, I learned so much and even though some of my questions were not polite, she handled it very well. In terms of my faith, I guess I’d say I question things a lot more than before. What is your plan moving forward? I would say to become an entrepreneur, start companies and organizations that will make a difference back home. I want to focus on organizations that will directly or indirectly educate people and more specifically will introduce them to technology. The internet is available in Somaliland but it is extremely slow so that is one of the problems I want to solve. Is there anything you’d like to say to other students out there just like you who dream of a better future and education? People always told me what was possible and what was appropriate to do. In their heart people know what is right for them but usually people don’t do this because other people don’t agree that this is the correct thing to do. I would just say: follow your heart.